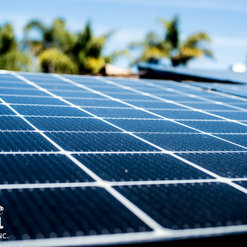 Tibi Home Design, INC. is a locally owned and operated company who provides quality eco-friendly construction and solar services for your home. We take pride in our workmanship, professionalism, customer service and expertise. Customer satisfaction is our top priority therefore; we offer our clients personable service on each project by early involvement in every phase of the project from developmental stages to the final completion. At Tibi Home Design no project is too small or too big we are committed to providing our clients with quality products at a competitive pricing. During our free in home consultation We will provide you with ideas and recommendations as well as information to ensure you make an informative decision about your home remodeling project. we look forward to creating more lasting relationships and building your dream, a home. 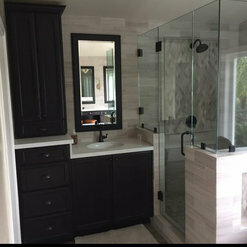 8 Projects for Tibi Home Design INC.
15 Reviews for Tibi Home Design INC.
Tibi Home Design and the team who was managed and supervised by Daniel just finished remodeling the master bathroom remodeling and we are pleased and happy with the end results of the new bathroom. We hired Daniel and his company before on our kitchen remodeling and we were very happy then too. Daniel went extra miles on the remodeling and all of that in order to make sure that we got what we want and that we are happy with his work. Daniel have great ideas and huge experience in construction and he is thinking outside the box to solve issues no matter how big they are or complicated. 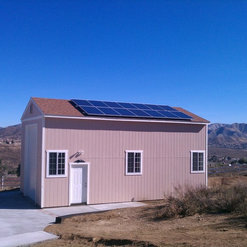 No remodel or construction project goes without any problem… even a small one. Daniel was able to find solutions very fast to the problems that came up during the remodeling and then executing it. 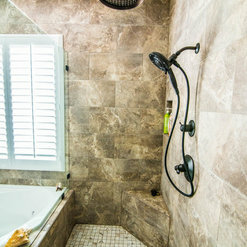 Our house is old and we wanted to have a new look and feeling of the bathroom that included a shower system with jets and bath tub and to have all the amenities of a new master bathroom. Daniel certainly did that and we love it. What we liked most about the entire process is that it was definitely a hassle free remodeling. After we agreed on the details of the bathroom, Daniel took it from there and start to do his magic. I felt the team understood that this is our home not just a job site and treated it as such. I will continue to use Tibi Home Design and team and have recommended him to several friends for their kitchen and bathroom projects. We hired and worked with Tibi home design for the remodeling of our recently purchased home. The house was a complete old design of a house and our tastes is very modern and not complex. We definitely not traditionalists people when it comes to our house design preferences. We saw on their website that they can deliver beautiful designs that were more traditional, but we were curious if they could meet our preferences and mainly the budget. After meeting with Dustin, we knew that they will be able to do exactly what we were looking for. The workers and the subcontractors that did the actual work were professional and worked with us from start to finish on the design that we approved ahead of time with Dustin. They did a great job by leading the project, but always putting our needs and choices first. Dustin was very conscientious of the budget and everything that the workers did was to ensure that it was met, from design through final construction. I cannot say enough positive things about this company. The care and professionalism they took for me before, during and after the construction was much more above what we thought we will get. They definitely brought our vision to a reality. All of this was done at an incredible value with great service! Thank you for all of your great work guys! "IN ONE WORD - SPECTACULAR" is the definition that I can use for the 2 gorgeous bathrooms that were remodeled by the professional team at Tibi Home Design. The remodeling was done with a great team of people that worked on the entire project and mainly upgrading my master bathrooms, the half bathroom and the powder room. Julia was the talented person from the office that delivered all the decorating advices, useful ideas for our new style by choosing materials from light fixtures, tiles colors, hardware etc... he was available to us all the times in order to provide us with answers to our questions and great amount of excellent suggestions for the bathrooms so the final project will be nothing but pure quality finishing. The project was completed on time and mainly within the budget, and Louigi was always accessible for anything we needed related to the remodeling. Louigi and his crew were totally skilled and careful in the work. They made sure to clean each day before they left. Besides the bathrooms, we also replaced the counter top and back splash in the kitchen. As Louigi's recommended to us, we now have a stunning counter top that has transformed my existing kitchen into a whole different world. Thank you Tibi Home Design. I highly recommend this company for any remodeling project. After 1 month of a daily work, my new kitchen is finally done! Daniel met with me at my house and presented to me several samples and examples of kitchens that he did in the past. As part of the meeting, Daniel took all the measurements of the kitchen and he scheduled another meeting with me in order to show me a 3D design. Our second meeting was much more productive because the 3D design that he did for me, showed me as close as possible to the real thing. Daniel also provided I with a work schedule that will explained all the stages of the remodeling and I was very happy with that because I knew exactly what to expect from him. 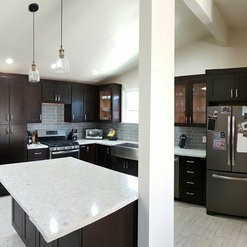 The new kitchen that I did included the cabinets, counter top, new lighting and Small Island. All the workers that worked at my house, were nice and professional. They took care of the work place as it was theirs. Our complete kitchen remodeling was done by Tibi home design and certainly was beyond our expectations and much more than what we could imagined. The reason for that was not only because the high quality of the products and materials, but because the people Tibi home design have on their staff. At first, we met with the designer Michael and we explained to him what goal we would like to achieve and what type of style we love and want to have. Our feeling after that meeting was that he can design our amazing kitchen without any doubts. He used his significant talents and skills to design the kitchen with solutions that we never thought we can have or get. Later on, we met with Elmar who managed this whole remodeling including his team of workers. Elmar arrived to the house each morning to see what the crew will do that day and he left at the end of the day after making sure that the space is clean. 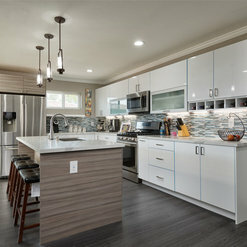 The new kitchen came out completely different that the old one and with much more space and storage while the new appliances, counter top and cabinets added big amount of beauty. 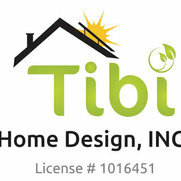 We'll hire Tibi home design again for our next remodeling project. We got a recommendation for Tibi home design from a neighbor and friend who had just finished a remodeling at his house with them. We wanted to remodel the whole kitchen and to replace the front door of the house. Working and dealing with Daniel and his people was very good experience and with as less stress as it could be. Daniel guides us to get excellent deals on all the materials and appliances while focusing on the hardware. All the people that were involved in our kitchen, showed up to the house on the time that the office informed us they would. All of them were respectful, professional, polite and neat and especially easy people to have in our house. When the kitchen remodeling project was finished, the new kitchen made such a huge different in the look of the house while the front door added the missing touch that it needed. We would definitely use Daniel and his crew again. We are extremely happy with the addition that we did and remodeling project of the 2 bedrooms and bathrooms that was done by Tibi home design did for our home. We added a large master bedroom and a master bathroom that included shower and tub among all the other features that need to be in a master bathroom and converting our original master bedroom into two kid’s bedrooms, In addition to that, we did a full kitchen remodel, and added a large deck in the back yard. During the entire project, Tibi home design offered professional services and advises. They were pretty honest, unlike many another contractors that all they know is to lie and add you things that you don’t need so they can make more money into their pocket. Tibi home design gave us an honest quote from start and he stayed behind that quote till the end of the remodeling, guided us throughout the entire process, and followed through with all of their obligations and responsibilities. Throughout the process, Tibi home design staff were professional and friendly. Dustin takes a huge pride in his company, and ensures that his customers are treated right and above. It’s hard and almost impossible to find this degree of professionalism very often. I highly recommend Tibi home design, Elmar and his team are excellent and honest. They are professional, respectful and skilled. Elmar who was the project manager, was very patient and very helpful while we considered many remodeling options for the kitchen and bathroom during the planning stage of design. Elmar expertise and his advices, guided us through the remodeling as we made decisions and at the end, we ended up with the perfect kitchen and bathroom! We couldn't be happier than and as far as final work came out... We will use Tibi home design in the future! Our bathroom needed a renovation. We spoke and interview several companies and decided to hire this company. We met with Daniel who was the sales person and the supervisor of our project. He came with the workers and guided them with what need to be done and he also visited our house frequently to see the progress and how things are going. We liked the payment method that Daniel was able to get for us. There were no major "change order" and this was the reason why the price stayed under our budget. The bathroom renovation included paint, vanity, shower and restroom. All the materials were purchased by us with Daniel. The workers came over the house on daily basis, we didn't recall any day that they were missing from work. The bathroom came out good and beautiful. Thank you Daniel for the nice work! Yesterday, our bathroom received his last touch up. Our bathroom was completely remodeled by Tibi home design. We enjoyed so to speak to work with them mainly with Daniel. Daniel, the salesman, was the main person that met with us from day 1, provided us with his ideas and design and supervised all the workers that worked. He was professional and polite and we appreciate his patient and knowledge. Our bathroom included basically everything, from shower system to floors, new vanities and paint. All the materials were selected by us and was handled by Daniel from the moment we selected them. Also all of our questions that we had before or during the work, were solved by him very fast. We will work with them in the future and we thank them for all the nice things they did for us. 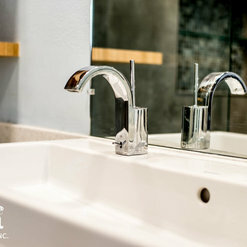 We hired Tibi home design for our total kitchen remodeling that besides replacing all the cabinets, appliances, island, and paint and more… we did do additional things: - We added a large recirculating pump for the hot water. - We upgraded the electric panel. - We installed new hardwood floors in the living and dining rooms areas. Dustin was the person that designed and implemented the whole remodeling and supervised his crew of people each day. His supervision on the project, helped us a lot that lead into much less stress and concerns than we estimated. The office manager that was in charged on our project, did a wonderful job by coordinating, communicating, and billing us while the working crew and sub-contractors were polite, kindly, professional and hardworking people. The project took less than 5 weeks from start to finish. The final price that we received and paid was not the cheapest, but the level of the quality, comfort & trust we had with Tibi home design was more than just worth it. 2 Ideabooks for Tibi Home Design INC.